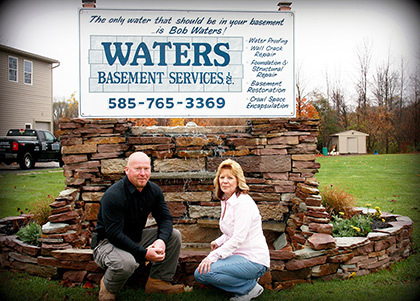 "The only water that should be in your basement...is Bob Waters"
Waters Basement Services is a basement waterproofing company that specializes in basement service waterproofing solutions. 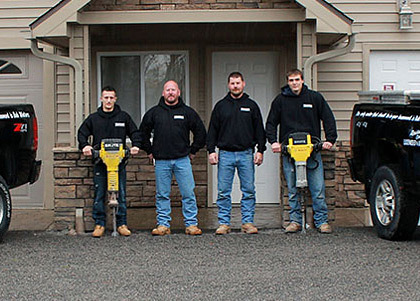 We provide real solutions to eliminate damp, musty, wet basements and crawl spaces. Waters Basement Services, Inc. has more than 30 years’ experience in basement waterproofing systems in the Rochester NY and Buffalo NY areas. 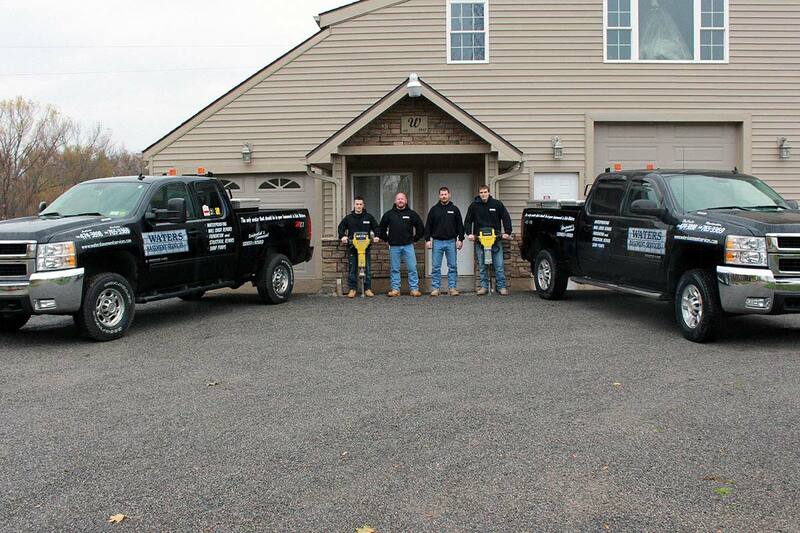 Waters Basement Services Inc. has been a recognized name in the Rochester NY and Buffalo NY basement waterproofing industry for many years. We are a professional waterproofing company that has built its reputation on developing long-lasting relationships with customer service at the forefront of our business. Our goal is to provide cost-effective solutions backed by excellent service, and to educate the homeowner on the causes of wet basement problems. Your dry basement can increase usable square footage and protect your investment, as well as enable you to use the space for storage - or finish into the nice comfortable living space you’ve always wanted! Once your waterproofed basement is complete, basement finishing is the most efficient way to add living space to your home.Many homes can double in square footage by merely finishing the basement for a fraction of the cost of a home addition. Don't have plans to finish your basement? Waterproofing will still increase your home's value. Learn from our experience! Our resources/articles provide detailed info about many basement-related topics. Learn about poor grading, settlement, high water table, capillary attraction and how it affects your basement foundation. Learn how a damp or leaky basement can affect your health, property value, structural integrity, damage to valuables and stored possessions. Learn how you can benefit from basement waterproofing. Learn what you should know before finishing or renovating your basement. 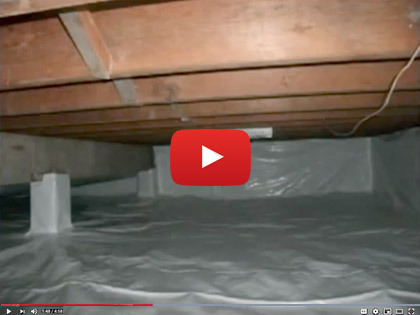 Learn how basement waterproofing can increase usable square footage, protect your home investment and eliminate moisture that can cause mold or mildew - and much more! Visit our Resources & Articles page now. Mold, mildew, or water in your basement? 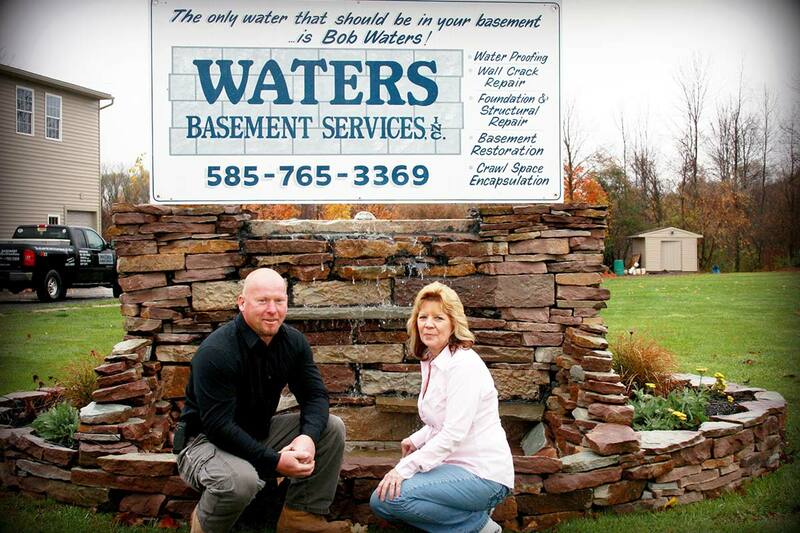 Get a prompt, no obligation consultation and estimate from Waters Basement Services, Inc. Very fast and did a great job. Clean up was extremely impressive. The basement already seems warmer and my husband says it's not as creepy. Three thunderstorms since work completed zero water in my basement. Thank you for the fine workmanship. We are very happy and satisfied.